For many of them, it was a first glimpse at the extent of destruction … for me, it was a pit of emotion. Many of our neighborhoods gone. Our hospital destroyed. Hundreds of cars twisted, stacked, crushed. Innumerable businesses gutted. Two of our schools reduced to rubble. I didn’t like what I saw and I didn’t like how I felt. But that awful feeling evolved. The stories of survival and compassion began flooding out of those decimated places. The outpouring of support from across the world descended. Our grass roots “faith based FEMA” kicked-in as churches and community organizations rallied. 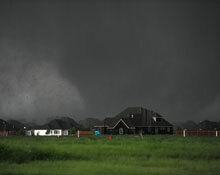 All of that began impacting my outlook every bit as much as the tornado. Don’t get me wrong, I still don’t feel better … but I do feel good. I feel good about the way Moore responded, about the perseverance of our people, about our determination to rise out of this. Moore Assistant City Manager Stan Drake once told me, “there’s three ways to do things; the right way, the wrong way and the Moore way.” I tend to agree with him. As we continue to recover from this disaster, the whole world is seeing “the Moore way,” and it is good. May God bless Moore as we walk through this together. 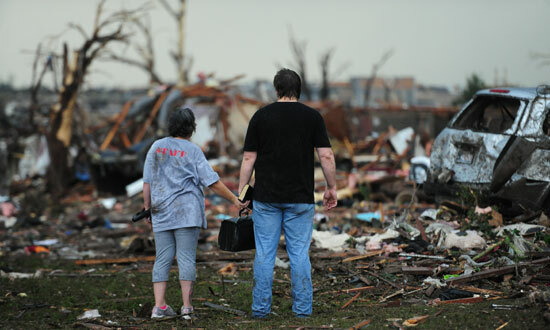 Editor’s Note: Rotary districts 5770 and 5750 (Oklahoma, USA) have set up a bi-district fund to help those affected by the tornado that struck near Oklahoma City, Oklahoma. Learn more on District 5770’s website. This entry was posted in Disaster recovery and tagged Disaster recovery by Rotary International. Bookmark the permalink.